When you think of Italian food, pasta certainly comes to mind but so does cheese. The Italians are famous for their variety of delicious cheeses that have made their way into the American diet. Read on to learn about five of the best cheeses to come out of Italy. This cheese is named after the area around Parma, where it originated. Parmesan cheese is a hard cheese with a grainy texture, a strong aroma and sharp, savory flavor. In fact, it is considered to be the cheese of all cheeses according to cheese connoisseurs. It tastes best sprinkled over pasta and used as an ingredient in soups and risottos. Italians love to munch on it as a snack, as well. Hailed from the Gorgonzola region, this cheese is soft and crumbly. It can be made into a sharp or mild flavor, depending on its age, and has a nutty aroma. It’s an "old-world" blue-veined cheese made from unskimmed cow’s milk and takes up to four months to create. Serve it with red wine and your favorite pasta dish. Originating from the regions of Puglia, Molise, Abruzzo, and Campania, this famous Italian cheese is semi-soft with a stringy texture. It’s white in color and has a milky flavor and aroma. In the past, mozzarella cheese was made from buffalo milk but today it is made from cow’s milk. Unlike most cheeses, mozzarella cheese doesn’t need to age. It’s eaten fresh. It tastes great on salads, meats, and with fish and vegetable dishes. From the Po valley Region, provolone cheese is firm and grainy with a mild or sharp buttery taste and pale yellow color. As an artisan cheese, provolone is semi-hard with a pleasant aroma. It has high amounts of calcium and protein but is also high in salt. Provolone goes wonderfully with red wine and served with fresh, homemade bread still warm. This fresh Italian cheese is made from either sheep, cow, goat, or buffalo milk whey that is left over after making other types of cheese. It’s smooth, tastes sweet, and is high in protein but low in fat. It goes well with many Italian dishes such as lasagna, cheesecake, pizza, clazone, ravioli, manicotti, and more. Ricotta can also be used as a sauce thickener. Every culture around the world has its own authentic cuisine, delicacies, and everyday food. Italy is no exception. In fact, Italian food is one of the most famous types of cuisine found around the world, often with a local adjustment made. When it comes to Italian food, however, we automatically think of spaghetti, pizza, and minestrone soup, for example. But there is more to Italian food than meets the eye. Read on to discover five foods that you probably didn’t know are Italian in origin. 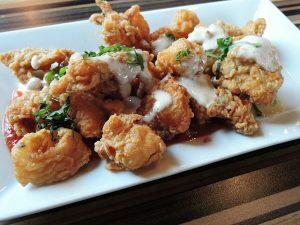 This yummy appetizer is served in many restaurants in the United States, not just Italian ones, but did you know that calamari is an authentic Italian dish? Calamari it typically sauteed in lemon and oil. Some restaurants add hot or banana peppers to add extra flavor to the squid, which comes in deliciously shaped rings or tentacles. Cow’s what? Yup, that’s right – cow’s face. In Italy it’s called “Muss’ e voooi” and is considered a delicacy in the south. You can find it sold by vendors and restaurants, especially during festivals, and can be eaten in a sandwich. Maybe so you don’t see its face? You know those black prickly creatures you try not to step on when reef snorkeling? Well, Italians love to eat them. In fact, the spikes we are so afraid of are the best part to eat of the sea urchin. It’s prepared baked or steamed to get at the meat inside the shell. Add a dash of lemon for extra flavor or add it to your spaghetti sauce for an authentic Italian meal. Known as “Vigilia di Natale,” eel is another favorite dish in Italy. Eel is prepared roasted, grilled, or fried and is considered a cherished traditional Italian dish served on Christmas Eve. Rabbit meat is eaten throughout Italy. On the Island of Ischia off the coast of Naples, rabbit in white wine sauce is a favorite. In Tuscany, they tend to eat hares, which are bigger than rabbits. No part of the rabbit goes to waste, with Italians consuming the kidneys and even the brain, along with the rest of the rabbit’s organs. The meat is a great addition to a spaghetti sauce or served grilled. 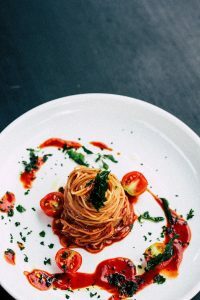 While there are likely many more Italian food you have never heard of or simply didn’t know are traditionally Italian, the five listed above can doubtless be found in any Italian restaurant in Italy. Unless you are used to eating grandma’s homemade cooking from Italy, chances are the food you order in most Italian restaurants in the United States isn’t as authentic as you may think. In fact, many Italian eateries in the States have food on their menus that is not eaten in Italy. Aside from this, there is also some confusion about how to eat some favorite Italian foods. So, the next time you visit an Italian restaurant or go to Italy to sample Italian food straight from the source, keep your eye out for these Italian foods. Read on to discover four things you probably don’t know about Italian food. Ok, so bread is a staple of the Italian diet and an authentic part of the meal, however, what most people don’t know is that bread should be eaten at the end of the meal instead of as an appetizer while you wait for your entree. Traditionally, bread is used as a sponge to mop up any leftover sauce from your meal, though this may be seen as crass in some of the more expensive, fine-dining Italian restaurants. While in Italy or at an authentic Italian restaurant in the States, it’s important to know the difference between pepperoni and peperoni. The former is a popular meat for pizza toppings, while the later is actually a pepper. If you’ve been to Italy and tried to find Fettuccine Alfredo or spaghetti and meatballs on the menu, you were probably left scratching your head. These foods are actually considered American cuisine you won’t find anywhere in Italy. However, if you really want pasta with cream sauce, look for the Italian word for cream (panna) on the menu. For spaghetti and meatballs, you can expect to have the meatballs served separately in a bowl. If you decide to mix them together, don’t be surprised by some weird looks from Italians dining near you. Overall, Italians shun a big breakfast. In fact, the favorite choice for breakfast in Italy is an espresso and sweet pastry or croissant. A big American style breakfast is practically unheard of in Italy. Instead, Italians like to keep it small for breakfast while eating bigger meals for lunch and dinner, which are usually quite festive, full of laughter and conversation, and can last for hours. The majority of tourists who visit Italy flock to the most well-known spots, such as Florence, Rome and the Amalfi Coast. There’s good reason – these places are truly amazing and full of authentic restaurants, old-world hotels and historical landmarks. However, if you have been to all these locations, or are just looking for a more unique experience, then you should consider visiting the five places on this list. 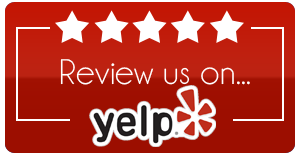 They offer a traditional Italian experience and so much more. If you want to take a step back to the medieval times in Tuscany, then Siena should be a must-visit on your places to see list. Siena is one of the loveliest medieval cities, and a trip you should definitely consider making – even if you are only going to be in Tuscany for a few days. The heart of Siena is central piazza, called II Campo, which is known for the famous Palio run, which occurs two times each summer. While there has been a settlement in this portion of Italy for more than 2,000 years, the coast was only sand dunes until 1843. This is when the first bathing establishments were established next to the Adriatic. Today, the area is full of people, history, food and Roman relics. Approximately 95 percent of visitors to Rimini make the trek here for the boisterous, long (yet sometimes tacky) beachfront. Stroll through the streets of Parma without a care in the world, after all, there are virtually no cars here. You can snack on the fresh prosciutto and aged parmigiana Reggiano, enjoy wine virtually everywhere you go, and on summer evenings you can even listen to amazing opera at the local opera houses. The real questions to ask regarding whether or not you should visit Parma is – who wouldn’t want to visit the home of parmesan cheese? Puglia is located in the heel of Italy’s boot. It is full of beautiful and quaint small towns, with amazing architecture, such as the conical trulli and the Baroque of Lecce. The area is full of things to see, including historic churches, palaces, winding alleyways, slow food trattorias and more. If you have never been to this part of Italy, you should plan to see it during your next visit. This is a small village that stretches crescent shaped along the edge of a beautiful and calm bay. If you want to visit an amazing sea resort area, then you don’t want to miss Portofino. In addition to beautiful scenery, this area also boasts an ancient marine culture, and is a spot that is loved by famous personages, writers and artists. 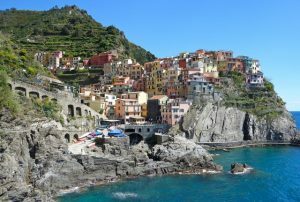 If you are planning a trip to Italy, then you should put these five “off the beaten path” places on your list of places to see. You won’t regret it.